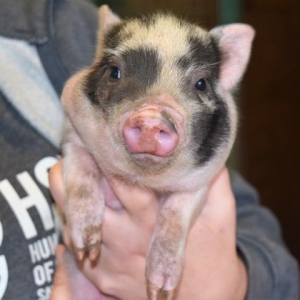 FORT WORTH – The expression “when pigs fly” comes true in North Texas Sunday, with the North Texas Humane Society and Wings of Rescue airlift of 13 pigs and one hundred other pets to Minnesota. HSNT worked with “Wings” again to lessen overcrowding issues by moving pets to places where people are waiting to adopt them up north and out west. Spokeswoman Cassie Lackey says pot bellied pigs are often surrendered when they get too big for homes; finding someone else to adopt them can be a challenge, made easier to solve with the partnership with Wings of rescue to transport them to adopters or rescues more able to house them until suitable families can offer to permanently adopt them. The flight is due to depart Fort Worth on Sunday around 9:30 am; loading takes place about 9 am.